Hi everyone! 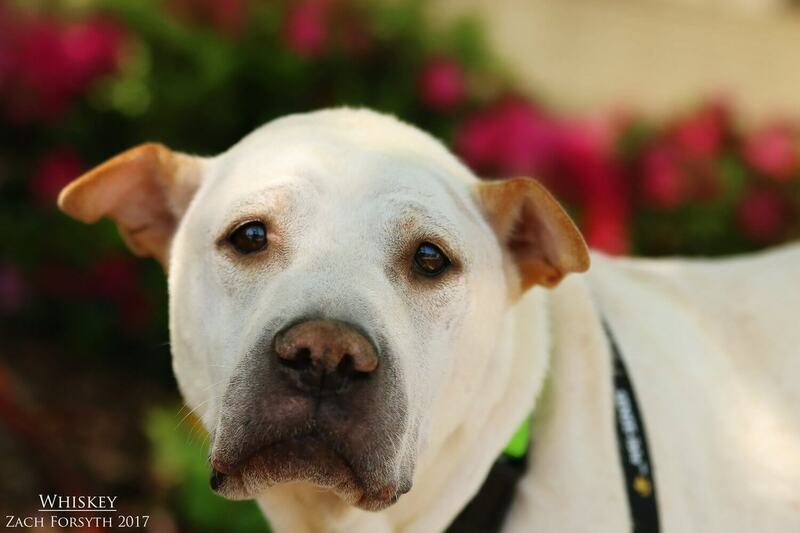 My name is Whiskey and I am an adorable 4 year old Shar Pei/Cattle Dog mix weighing in at 40lbs. You can ask everyone in town and they will tell you that I am the highest quality top shelf shot of cuteness around! I am a mellow guy who loves to go for my afternoon walk around the block or even a nice long hike in the gorge would be just wonderful. When I am not out walking or snuggling by your side, I like to spice it up and play fetch with my favorite toys! It has to be those squeaky ones of course. I can sometimes be shy meeting new pups, but have made some good Pixie doggy pals here and wouldn’t mind having another pup in the home. But those dogs parks would be a little overwhelming for me. I also enjoy meeting new human friends over 14 and those kitties are ok too! Since I can occasionally sing, I would need to be in a home owned by my adopters. Sweet and sometimes aloof, I am really a dog that is ready to bond to that special someone! Are you ready to get drunk off my love? Then fill out an application and ask for a shot of me today! I come to you neutered, vaccinated, and micro-chipped with an adoption fee of $300.